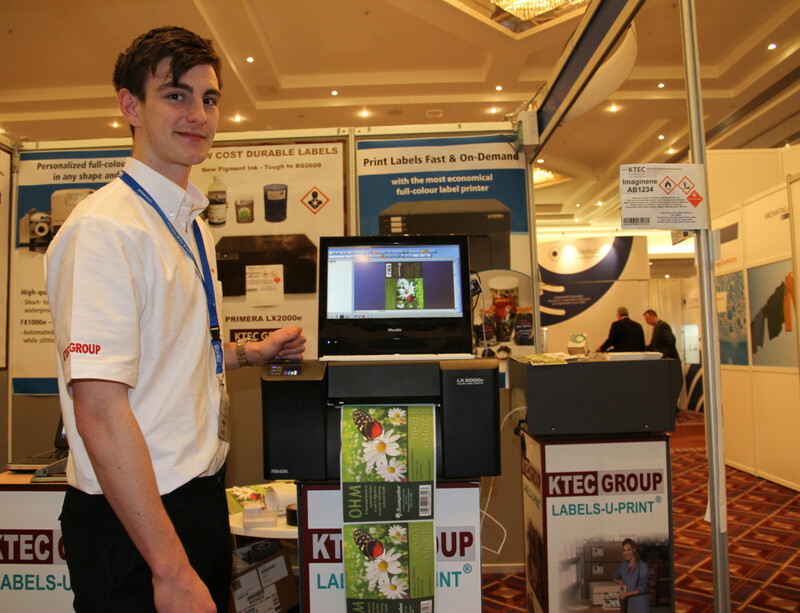 Jon Harkin of specialist colour label printer reseller KTEC Technologies Ltd previews the new PRIMERA LX2000e to visitors to the H3i chemical and solution formulations show. The LX2000e has been eagerly awaited and is the latest full colour label roll printer soon to be launching from the famous PRIMERA stable. With the capability to print any size full colour labels up to 8 inches wide on a roll, the LX2000e has new pigment ink printing labels with extra durability against sunlight and resisting attack from chemicals and solvents. When combined with SEA-JET© their new matt white polypropylene self-adhesive label media printed labels withstand outdoor use, even extended testing by marine submersion to satisfy the extreme durability requirements of GHS /CLP/ BS5609 chemical labelling and international shipping requirements.